Opening a business checking account should be top of mind for anyone starting a business. A business checking account is essential. It’s from this account that you pay suppliers, vendors, and anyone else you do business with. Beyond this functional use, a business checking account also lets you separate your personal and business finances. And if you plan on applying for a small business loan in the future, you’ll likely need a separate business checking account to qualify. The problem is that so-called “free” business checking accounts aren’t completely free. Banks charge for certain services, and without choosing carefully, you can get hit with a myriad of fees month after month. These fees are small, but over time, they can add up to a big dent in your bottom line. If you choose wisely, though, you can find a checking account with features that help you better manage your business’s cash flow. To help you shop around, we compiled a list of all the free business checking accounts and their standout features. Business checking accounts vary a lot in terms of fees, available services, and policies. Use this as a starting point for your best checking account option. The main reason to open a business checking account is to keep your personal and business finances separate. This is important for financial, legal, and organizational purposes, says Brayden McCarthy, VP of Strategy at Fundera. Mixing business and personal finances can cause major accounting headaches come tax season. Imagine spending hours picking through your bank statements to figure out if a dinner you had six months ago was on your personal dime or for entertaining a client. Miscategorizing such expenses can land you in hot water with the IRS. Intermixing your personal and business finances can also get you into legal problems. Depending on your business entity type, if your personal finances are mixed up with your business’s, you may become personally liable if someone sues your business for an accident, breach of contract, or other reason. Not having a business bank account can even ruin your chances at securing small business loans down the line. Choosing a free business checking account from our list can help you avoid all of these problems and simplify business ownership for you. When you start researching “free” business checking accounts, you’ll see that they are not really free. Even for free business checking accounts, banking institutions have several ways of earning money from your account. Most banks offer you a certain minimum number of transactions and services for free. After you’ve reached that limit, they’ll charge a per-transaction, cash handling, wire transfer, and ATM fees, just to name a few. The key differentiator when comparing accounts is often the number of free included services, after which you need to pay. When searching for a free business checking account, the first thing you should evaluate is how many transactions you will get for free each month. This goes to the heart of how you’ll use your account and how much that use will cost you. “Transactions” typically include cash and check deposits, cash withdrawals, transfers, and electronic payments. Most free business checking accounts limit the number of transactions you can make each month before the institution charges a fee for each transaction. Many institutions also set a cap on the number of monthly transactions that qualify for their free product level. If you know that you process a lot of transactions, read the fine print on your business checking account agreement to make sure the level of free transactions matches up with what you need. Banks’s financial health depends in part on the amount of deposits they have on their ledgers, so banks encourage customers to retain a sizable balance in their accounts. Some accounts will charge you fewer fees, or even no fees, if you maintain a high enough daily and monthly account balance. When shopping for account, consider your expenses and what’s realistic for you in terms of average daily and monthly account balance. To calculate average daily account balance, banks typically add up your closing balance on each day of the bank statement period and divide that sum by the number of days in that period. Banks calculate the average monthly balance by adding your daily closing account balances throughout the month. Then, the bank divides that sum by the number of days in the month. In calculating your average, some banks will consider your balance across different accounts that you hold at the bank. Make sure to understand your bank’s specific policy. In addition to average daily balance requirements, accounts with the fewest fees require a much larger opening deposit than accounts with more or higher fees. Keep in mind that your opening deposit might differ from your average daily account balance if, for example, you need to maintain more than one checking account for a few days (or longer) as you transition between checking accounts. Some banks offer a signup cash bonus if you deposit, and maintain, a balance above a certain level. This isn’t the most important reason to open an account, but if Bank A offers all of the same benefits as Bank B, but Bank B offers a signup bonus, it’s a no-brainer. 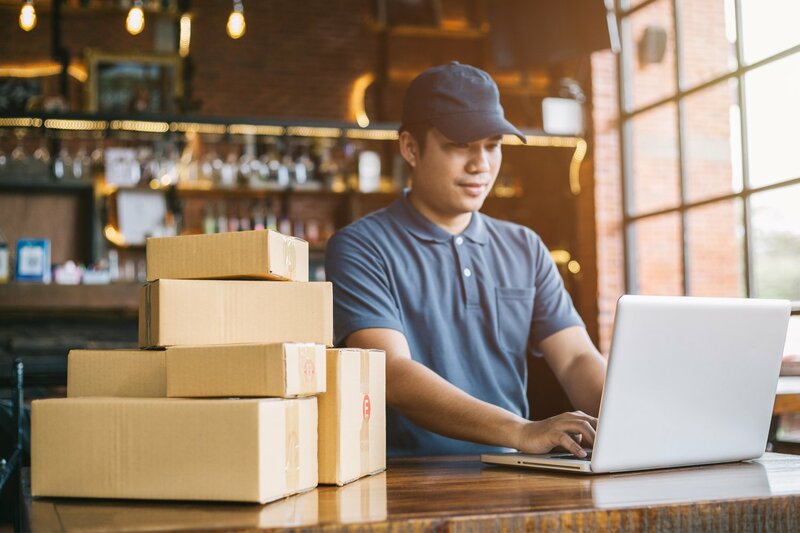 If you have a physical storefront or office space for your small business, or deal in cash for a significant amount of your revenue, you might need access to a local branch to make deposits. If this is the case, a bank that only has a few branches in your state, or is internet-based, might not be the most fitting option. In contrast, if you only sell your products or services online and all of your revenue comes in through digital transactions, an online bank business checking account (without access to physical branches) might work just fine for you. In fact, in this case, you’ll probably want to prioritize opening a business checking account online because it’s often less expensive. Heads up: If you know for certain that you need access to a local branch, the “local and regional favorites” list at the end of this post might be your best place to start. On the flip side, if you operate an online business, you might want to opt for a bank that offers online banking and that provides services through the bank’s mobile app. For instance, many banks offer mobile check deposit, statement viewing, and transfers. As a small business, you want to make it as easy as possible to run your business by using only the tools you absolutely need. And ideally, all the tools you’re using should work together seamlessly. Many business bank accounts make this possible by integrating with existing payments and accounting software. These integrations save you a ton of time when it’s time to balance your books and file taxes. For instance, if you withdraw money from your checking account, that withdrawal will show up automatically in QuickBooks. And if you accept a payment through PayPal or Square, that deposit will be reflected in your checking account. There are several differences between small and large banks. There are the intangibles, like customer service and personalization, which tend to be better at small banks. If a banker at a small bank knows you, they might be more willing to negotiate with you on fees or give you a good deal. But at the same time, getting info on fees at small banks is difficult. Small banks tend to provide the fewest details online about the “fine print” behind their fees. Most hope to win you over on the phone, and they want you to eventually come into a branch location for the details. On the other hand, larger banks usually offer more account details and let you open your account online, which is very convenient for a busy entrepreneur. Now that you know how to compare the business checking accounts, time to see how all the accounts out there stack up. Every business has different needs, so we ranked checked accounts by category. All of these accounts are FDIC-insured up to $250,000 per depositor. Many banks that say they offer free business checking actually end up charging fees if you fail to maintain a minimum balance or if you go over a cash deposit limit. That’s changing with the increasing popularity of online business banking. Many digital banks don’t charge any fees and offer unlimited transactions. However, there are some limits with digital banks. For example, you can’t make cash deposits. If you transact in cash, then a digital bank probably isn’t the best option for you. Azlo also offers fee-free online banking for small businesses. Azlo‘s focus is on simplicity, but it’s also packed full of features that small business owners will love. 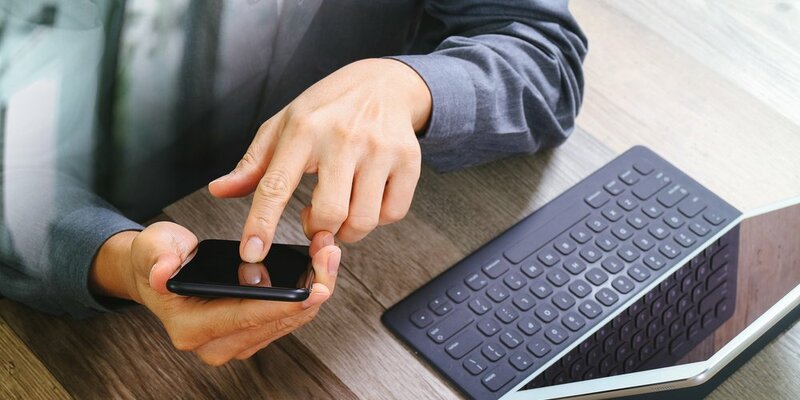 You can deposit checks, send ACH (direct deposit) payments, transfer money between accounts, and send invoices, all using Azlo’s powerful mobile app. The account also includes an Azlo Visa debit card for making purchases. Azlo doesn’t accept cash deposits since it is a branchless bank. But, you can use 55,000 networks nationwide with absolutely no fees. And Azlo integrates with Square, Stripe, QuickBooks, and other payment tools you might already use to make reporting and taxes a breeze. Novo is another fee-free digital bank for small business owners. 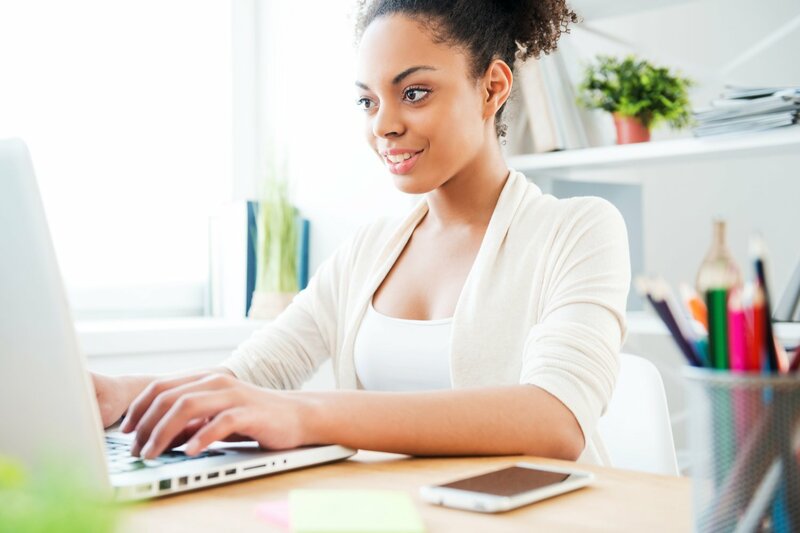 You can apply for a Novo checking account online in minutes. Once you’re set up with an account, you’ll be able to make payments, send money, and transfer money from your iPhone (web app and Android coming soon). If you need to send a physical check, Novo will handle the processing and send the check on your behalf. Your Novo checking account is FDIC-insured and comes with a Mastercard debit card that’s also compatible with Google Pay and Apple Pay. There are no fees or minimum balances, but you do have to make a minium $50 opening deposit to activate the account. The only downside is that, like Azlo, Novo can’t accept cash deposits. You’d first have to use the cash to purchase a money order before you can deposit it into your Novo account. Axos Bank (formerly Bank of Internet) does business exactly where you do—online. They have several business checking options, but their Basic Business Checking account offers one of the best values. There’s an initial opening deposit required of at least $1,000, but after that, there’s no average daily balance requirement and no monthly fee. There are a lot of included perks with this account, including your first set of 50 checks free, 200 free transactions per month, free bill pay, and, of course, a free, easy-to-use, fully equipped app for your iPhone, iPad, or Android. Up to 60 remote deposits are included for free each month. Plus, you’ll also enjoy free access to ATMs across the country. Business owners hoping to build a relationship with their bank should definitely look into Iberia Bank’s business checking accounts. In particular, if you open an Iberia Bank Free Business Checking account (which has no monthly service charge or minimum requirements), you can also get up to two free personal checking accounts with this bank. With this option, you might able to keep all your cash under one umbrella. And if you outgrow the Free Business Checking account, you can graduate to one of the bank’s four other business checking account options. 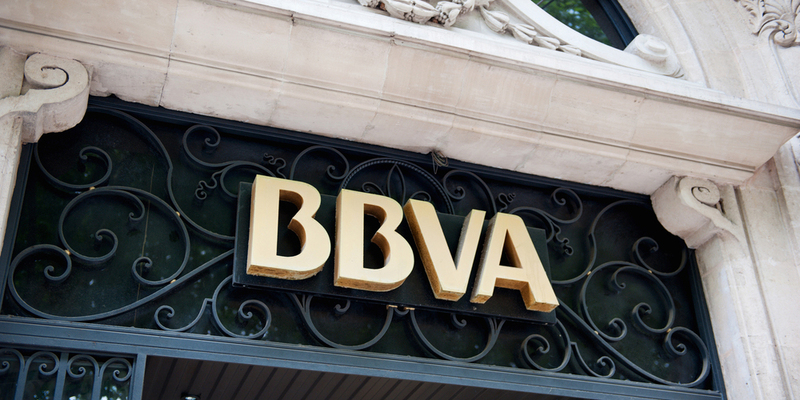 If you can access one of their physical branch locations, BBVA Compass Bank’s Clear Connect account provides a great combination of online convenience and in-person customer service. As part of this monthly-fee-free account, business owners can process two deposits and five withdrawals and/or checks per month, in-branch, at no additional charge. All other transactions are unlimited and come at no extra charge, which virtually guarantees that all your banking needs (both in-person and online) are taken care of. If your business is in the very early stages, or burns through cash quickly, it’s still crucial to open a small business checking account. That said, in these situations, you might not have enough cash to maintain a high balance in your new checking account. You’re best off with a business checking account that carries no or low minimum balance requirements. 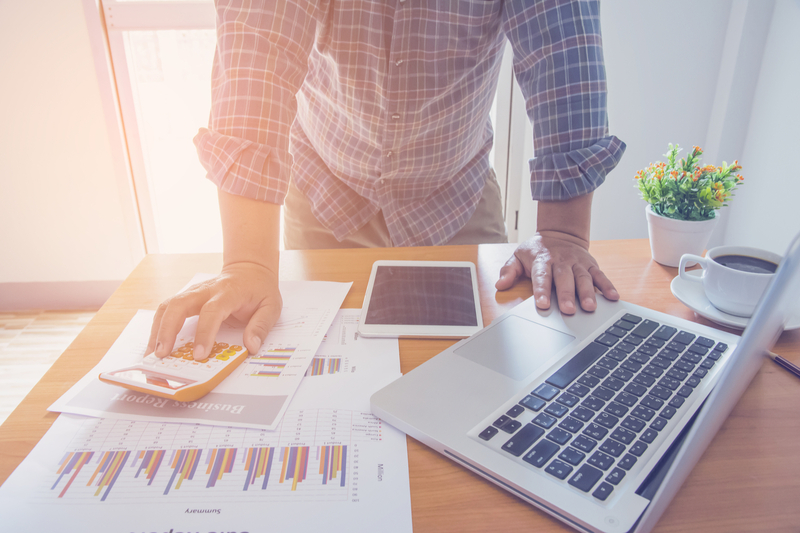 If you run a growing but still a relatively small business, the Chase Total Business Checking might be right up your alley. This account requires a minimum daily balance of only $1,500 in order to avoid the $12 monthly service fee—which is still inexpensive in comparison to other checking accounts. The service fee is $15 if you’re not enrolled in paperless statements. The Chase Total Business Checking account also allows up to 100 monthly transactions without a fee, plus unlimited electronic deposits (excluding wires). You also get $5,000 in cash deposits each month without a fee. With more than 5,000 branches and 16,000 ATMS nationwide, this makes it very convenient to bank in person or online. Another nice perk is that if you have multiple business owners, each owner can get their own debit card, bank PIN, and online account access. If you’re planning for significant growth in the future, your business may outgrow the free boundaries of this account fairly quickly. You might want to consider the Chase Performance Business Checking or Chase Platinum Business Checking as a next step. There’s a reason why Wells Fargo tops our list of the best banks for small business. Not only do they offer a healthy small business loan program, but they also provide one of the best free business checking accounts you’ll find for very small businesses. With a Wells Fargo Simple Business Checking account, you can easily waive the $10 service fee by maintaining just $500 per month in your account—one of the lowest minimum account balances we’ve seen. You also only need $25 as your minimum opening balance. Fees vary according to location, so be sure to search with your zip code to know exactly which charges you may incur. Wells Fargo recommends this account for home-based businesses, nonprofits, and other small businesses with limited banking activity. The Citizens Bank Clearly Better Business Checking account offers an impressive combination of no minimum account balance, no minimum opening deposit, and 200 free transactions per month. This account is designed to specifically accommodate smaller businesses that don’t bank very much. However, this bank only has branches in NY and NJ, so you must be located in the area to open an account. As a small bank, Comerica understands the challenges that small business owners face, and the bank’s Basic Business Checking account features cater to small business owners. This account has no monthly maintenance fee, a low $50 opening deposit, and 75 free transactions per month. They’ll also waive cash deposit fees for deposits over $2,500 per month. Available perks like credit card and payroll processing to help fill in the gaps where new business owners need help the most. You can find out more about all of Comerica’s business checking account options here. Bank OZK, formerly called Bank of the Ozarks, offers small business checking for businesses across the country who are looking for no monthly fees and no minimum monthly balance. The Bank OZK Small Business Checking account is best for startups and businesses with low transaction volumes. An opening balance of just $100 gets you 250 transactions, no monthly service fees, and no minimum balance per month. That said, keep an eye on additional transactions, as $0.50 each can add up to bigger costs over time. With no maintenance fees, no minimum balance, and overdraft protection, the First Citizens Bank Basic Business Checking is as easy as it gets for small business owners who don’t want to think too hard about their banking. The account requires an opening deposit of just $100. Even so, business owners who choose this account should pay attention to changing needs as they grow. Once you’ve hit 175 transactions or $5,000 in deposits per month, the fees can start to quickly add up. As long as you’re processing under 200 transactions and $7,000 cash deposits per month, Popular Bank’s starter business checking account truly lives up to its promise of being totally free. You’ll see no monthly fee and no minimum balance—and when you do hit that $7,000 month, the folks at Popular Bank make it quick and easy to upgrade to next account level, equally tailored to your business’s level of growth. The only problem is that you must visit a branch to open your account, and branches are located only in New York and Florida. If your small business is rapidly expanding, then you might have already outgrown some of the low-balance accounts listed above. Established small businesses who have more cash on hand, and routinely process over $10,000 in monthly deposits, should look to accounts tailored for medium-sized and larger businesses. At first glance, the $18 monthly fee on Bank of America’s Business Fundamentals Checking account might seem a little high. But keep in mind that the bank waives this fee if you maintain a minimum daily balance of at least $3,000, or an average monthly balance of $5,000. For quickly growing businesses, those minimums shouldn’t be such a stretch to hit. If you process a high number of transactions or a high dollar value of deposits, be prepared to pay a cash handling fee of $0.30 per $100 over the first $7,500 in cash deposits, as well as a fee of $0.45 for each transaction after the first 200. 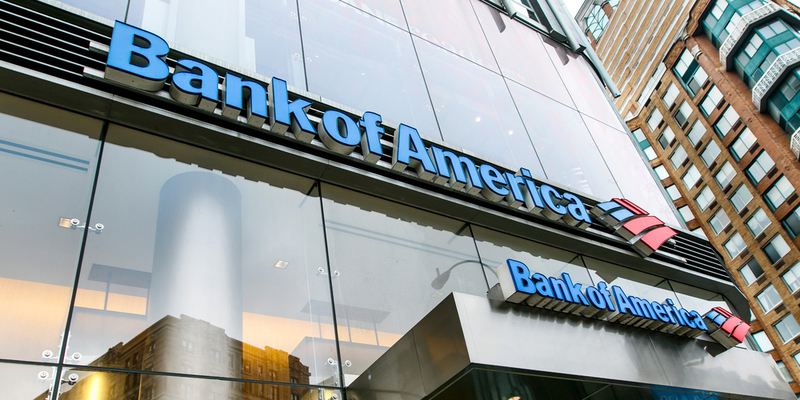 Many business owners find Bank of America particularly user friendly for online banking, so the minor costs may be worthwhile. Bank of American even enrolls cardholders in a Business Advantage Relationship Rewards, which works similarly to credit cards that earn rewards points for spending. Unfortunately, most business checking accounts don’t accrue interest—but Axos Bank Business Interest Checking account (formerly Bank of Internet Business Interest Checking) is a rare exception. Sure, an interest bearing rate of 0.8% APR isn’t much, but it’s better than nothing! Any money that sits in the account will slowly become more money through the addition of interest. This account requires an average daily balance of $5,000 to avoid the $10 monthly fee, and adds a per-transaction fee after the first 50 monthly transactions. You’ll need $100 or more as your opening deposit. If you’re based in New York City, consider opening your business checking account at Apple Bank. Their SimpleValue Business Checking account is an especially good option for quickly growing businesses who aren’t interested in a ton of frills attached to their banking experience. True to name, the SimpleValue Business Checking account is straightforward, but you can get a lot of value out of the features. Most notably, you get 200 free transactions each month, and no monthly maintenance fee if you maintain a $5,000 average monthly balance. This accounts requires at least a $500 minimum opening deposit. Like others in this category, Citibank’s Citibusiness Streamlined Checking Account has a $15 monthly fee, but you can waive it by maintaining an average monthly balance of $5,000. This account also offers 250 free transactions for month, with a fee for additional transactions billed at $0.30 each. If you process lots of large deposits, keep an eye on their fee for all monthly deposits above a certain amount per month (fees vary by state). The U.S. Bank Gold Business Checking account is a good checking account for established businesses that process a moderate number of transactions. 300 transactions are included for free each month, with a $0.40 fee for each one after that. You can even earn a 50% discount on your first order of checks. If you have a U.S. Bank credit card, you can earn rewards on the card by spending from your account. There’s a monthly maintenance fee of $20, which you can waive by using U.S. Bank as your merchant account or by keeping an average balance of $10,000. 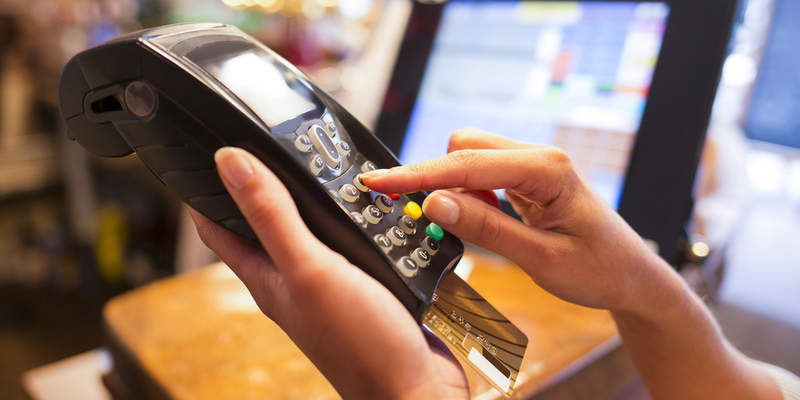 For retail or other point-of-sale businesses who process many transactions per month, per-transaction fees can add up quickly. If you’re in this position, you should look for a checking account that’s designed for high volume, heavy use. These accounts either offer unlimited transactions per month, or feature some of the lowest per-transaction fees we found. Popular Bank Commercial Checking is an account that’s designed specifically for customers processing a high volume of cash or checks. The lender normally charges monthly and per-transaction fees, but you can offset these by maintaining a high balance. The bank will even send you a monthly statement summary, which can help high-volume businesses keep track of all their cash. Capital One offers a great checking account for business owners that process a high volume of transactions and handle a large cash flow. The Capital One Business Checking account comes with unlimited included transactions. The monthly service fee is $15, unless you maintain an average balance of $2,000 or more looking over the last month or 90 days. $5,000 of deposits are included each month at no additional charge, and every $1,000 in deposits after that is just $1 more. This can serve as a core account for your day-to-day business activities. If your business operates solely or primarily online, it makes sense to do your banking online, too. First of all, you probably need to visit a physical location rarely, if ever. And you’ll need a bank with a suite of online capabilities. These free online bank business checking accounts give you access to banks that think digitally, just like you do. You can open your business checking account online with these banks and access all other services online. When you need cash, these banks have a network of ATMS that you can use. TIAA Bank has a few financial centers in Florida, but the bank is best known for its extensive digital footprint. You can open an account online in just a few minutes and access all banking services online. Services include the basics like mobile check deposit and transfers. 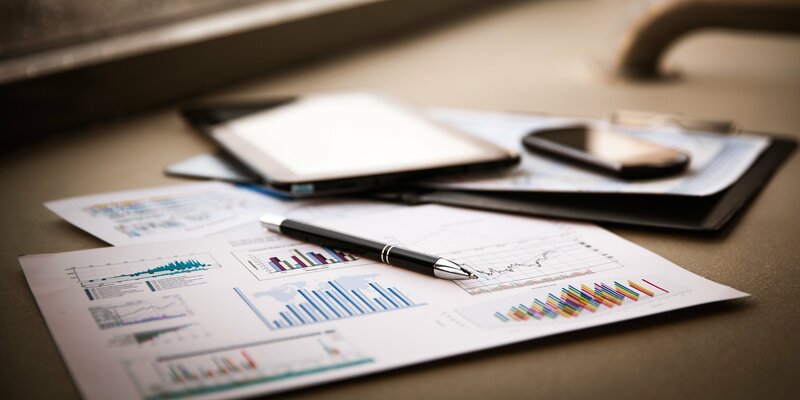 But you also get advanced business reporting, check images and eStatements, and the ability to download information to your accounting software. This bank has a network of over 60,000 ATMs nationwide. The TIAA Business Checking account requires an opening balance of $1,500. You can avoid the $14.95 monthly fee by maintaining a monthly balance at least $5,000. You receive 10 online bill payments and 200 free transactions per month, after which each transaction has a relatively low fee of $0.25. After the first 10 online bill payments, each one has a $0.50 charge. Radius Bank is another bank that lives completely online. They offer the Tailored Business Checking Account for small and growing businesses. You can skip the branch visit and set up your account within just a few minutes online. This account offers unlimited transactions with no fees and no-fee access to a worldwide network of ATMs. If you maintain a balance of $10,000 or more, you don’t have to pay the $15 monthly fee. On balances over $10,000, you also earn interest at 0.75% APY. There’s a Radius app for mobile check deposit and other banking services on the go. The banks that follow aren’t available nationwide, but if you live in one of these areas, you’ll experience their great perks and personalized customer service. And if you don’t live in one of these banks’ areas, but a relationship with your bank is a priority, you should definitely look into your own regional bank’s business checking accounts. 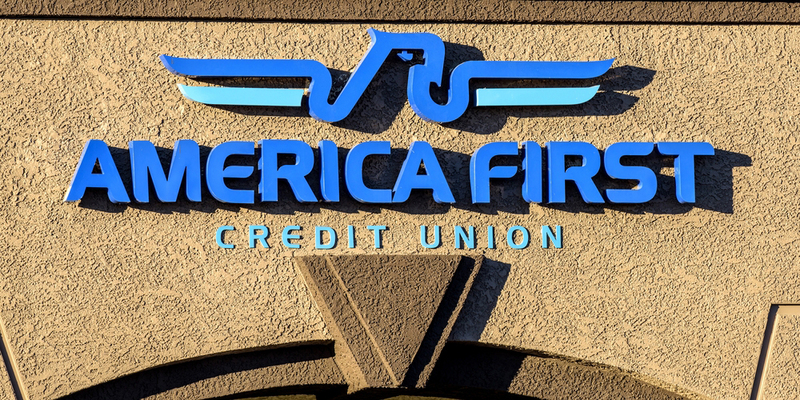 Utah and Nevada residents can apply for any of the four free business checking options from America First Credit Union. The America First Credit Union Basic Business Checking account is best for small businesses that have fewer than 250 transactions per month. But the low additional transaction fee of only $0.15 each won’t break the bank if you run a few transactions overboard. This local favorite is great for low-volume accounts and business owners who want personalized customer service without high monthly maintenance fees. You can also take advantage of America First’s online bill pay services. A longtime favorite of Golden State entrepreneurs, California Bank & Trust offers five main options for free business checking, but their Business Inspire Checking account is the best option for the smallest businesses. With this starter business account, you can waive the $7 monthly maintenance fee by maintaining a monthly minimum balance of $1,000. However, monthly cash deposits are limited to $3,000 per month, so if your business is growing quickly you’ll soon need to graduate onto one of the next tier accounts. Whatever California Bank & Trust business account you choose, you’ll also have access to free online and mobile banking. Texas and New Mexico businesses should consider City Bank’s Small Business Checking account (not to be confused with Citibank, the nationwide bank mentioned above). This account boasts no monthly fees, free online and mobile banking, and a minimum opening deposit of just $100. And even if your needs exceed this account’s 150 free transactions, the small fee of $0.25 per additional transaction is bearable. With no monthly fee, no minimum balance, and 500 free transactions a month, City National Bank’s Best Free Business Checking account is an ideal banking solution for business owners in Kentucky, Ohio, Virginia, and West Virginia. Mississippi, southern Alabama, and Louisiana business owners will like First Bank’s First Free Business Checking account’s generous terms. Like others on our list, this free business checking account offers no monthly maintenance fees, no minimum monthly balance, and free online banking. You can also enjoy 150 free transactions per month on this account, with additional transactions charged at $0.50 each. Nonprofits and cooperative businesses in Alaska, New York, Ohio, or the D.C. area should check out National Cooperative Bank’s Basic Business Checking account for no monthly fees and a low minimum balance of just $100. You’re limited to 50 free deposits per month and 100 free checks/debits per month, but the community-based experience of working with this cooperative bank will appeal to business owners who want to feel like more than just an account number. There are also online cash management features for business owners who prefer to do their banking digitally. Huntington National Bank, located in eight midwestern states, has a great account for growing small businesses called Accelerated Business Checking. The ordinary monthly service fee of $30 is waived when you maintain at least a $25,000 balance. This Huntington Bank business checking account includes 600 monthly transactions and $25,000 in monthly fee-free ATM and branch cash deposits. There’s overdraft protection for no additional fee. The best part is that Huntington is currently offering a $750 bonus for businesses that open an account, deposit at least $25,000, and make at least 30 transactions in the first two months. You’ll even earn interest on this account, which is rare for business checking accounts. As you know by now, there’s no such thing as a truly “free” business checking account. However, the 28 business checking accounts on this list offer some of the lowest fees and generous transaction limits that you’ll find on the market. And if you choose your business checking account appropriately, you can easily waive those fees entirely. Those three criteria can help you avoid monthly fees. Then, on a preferential level, you’ll need to consider whether you want to do most of your banking in person or online, and the level of customer service you’d like to experience. The answers to those questions will point you to a business checking account that’s low cost and designed for your needs.